Having a large family can sometimes give a mom a headache! Usually the Mom ends up being the family coordinator as well as the chauffeur, meal planner/shopper/preparer… you get the drill! Sometimes I feel like I am running around with my head cut off! Organize It Mom! is here to help us! My recent challenge has been potty training Ethan. I thought we had it under control. He was going #2 in the potty consistently and only having a few #1 accidents in his pants. Something changed and all our hard work went out the window. When Organize It Mom! agreed to send us a potty chart to try out I was excited to give it a shot. 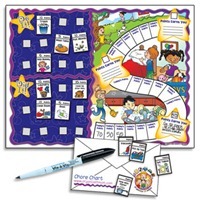 The potty chart set comes with 3 laminated charts, a laminated envelope to hold the reward stars in, 28 large and 28 small reward stars (you will need to cut), 4 reward pieces and 2 strips of velcro (again, cut and apply to stars). Ethan had the hang of the process of using the potty, so we skipped level 1. 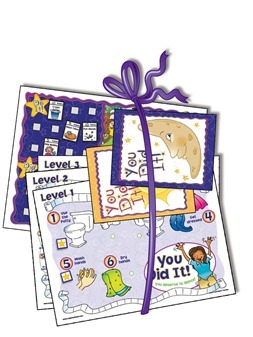 Level 2 can be used for motivation with immediate rewards. It is suggested to use the small stars for going #1 and the large stars for going #2. At your determined interval the child will earn the reward piece and a prize from you! We skipped ahead to level 3. We were aiming for all day dryness. I had a cute photo of Ethan using the chart, but sadly the folder containing my digital photos from the last 3 months has disappeared from my desktop (sob sob). Ethan really related to the star method and was eager to earn those stars. I know of a couple of times that he purposefully went #1 just to earn that star. We changed up the chart a little bit (that is the beauty of these charts… they are adaptable to the user). You can do one star at the end of the day for staying dry all day. 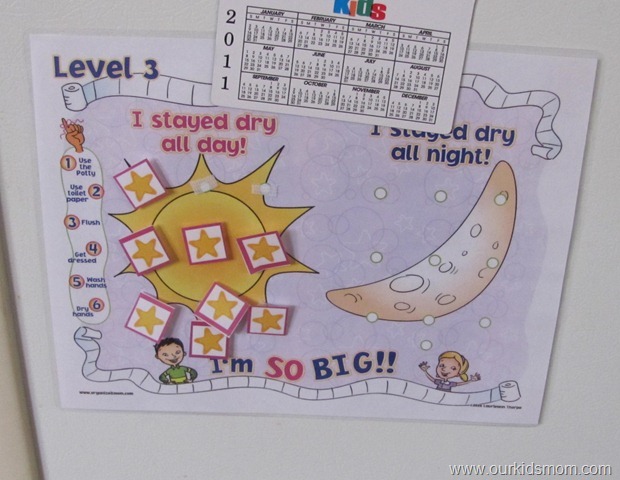 We went more of the route of chart 2… each time he used the potty he earned a star. He knew to put it on the sun because it was daytime and we wanted to stay dry all day. At the end of day one of being dry we used a reward sticker, did a HOORAY! Potty Dance and had a potty party with cupcakes! Organize It Mom! is here for us to help organize and stay in control of all areas of our life! 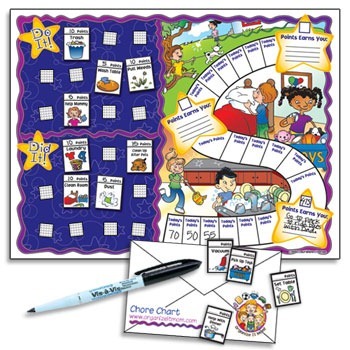 From “media money” (to help control media time), schoolwork charts, nutrition charts and clean it cards to routine cards, reading charts and budget envelopes. 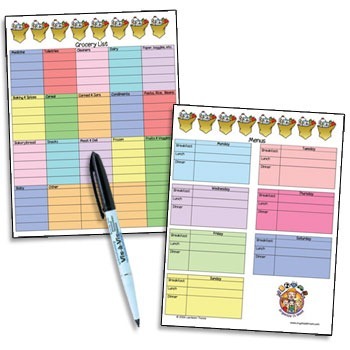 How about a job chart, a good girls charts (can be used for chores or to help change negative behavior), or a grocery/menu list? TWO OurKidsMom readers are going to win a free item up to $11.00! * Visit Organize It Mom’s website and tell me something you like, want or learned. This giveaway ends at 11:59PM EST on April 1, 2011. This post was written me and was not edited by anyone. The opinions expressed in this post are entirely my own and have not been influenced in any way. I received product for the purposes of review only. The sponsor is responsible for prize fulfillment and will be shipping the winner(s) their prize(s). For more information please read my disclosure policy. Following you via GFC. I would like the Routine Cards and the Potty Chart. I’m a GFC follower. 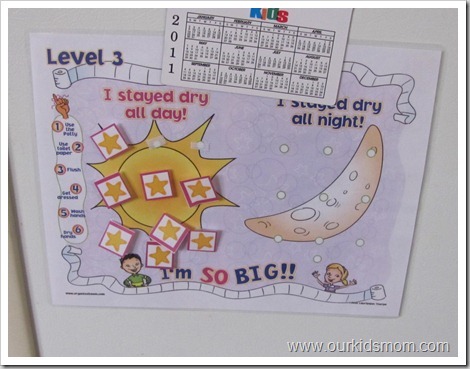 I really, really like the potty chart! My little guy is so close to starting potty training and this would e so helpful. I also like the Clean It Cards. My oldest is 13 and old enough to help out, but unless I stand over him and tell him what to do, step-by-step, he just doesn’t do it. These would be a great way for him to get some things done on his own! I would choose the Potty Chart for sure! We started potty training this week! I follow the Organize It Mom blog! I follow you via gFC (kpelham8) and love the potty charts!!! I like the Clean It Cards. I entered the $40 Cafe Press giveaway. I entered the Scentsy Warmer giveaway. Entered the Little Engine That Could giveaway! Entered the Simple Fit Window Shades giveaway! Entered the Baby Food Maker giveaway! Entered the Dr. Sears giveaway! I like the Good Guys/Girls Chart. 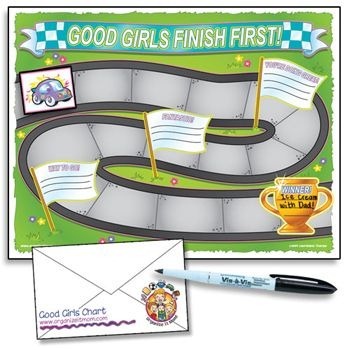 I had a chart similar to that when I was a little girl, for my chores and such. And I was rewarded when I earned a set amount of gold stars. Entered the Organize it Mom giveaway. 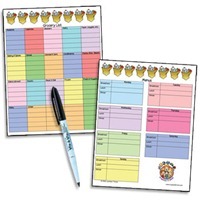 Their site has printable reward coupons! We’re printing some of those out this weekend! GFC follower! Sindy and I would like the routine cards! I like Organize It Mom! on Facebook! following Organize It Mom! on GFC! Follow @ourkidsmom and @orgmomdotcom and tweeted! I am a follower, I love the good boys chart!